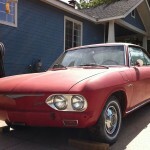 I drove out to the country yesterday to visit my dad for Father’s Day, and he showed me his latest project – a ’65 Corvair Monza. 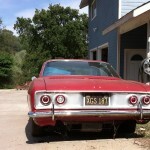 Now, I’m really a Ford guy, having owned cars like a ’62 Galaxie 500 XL and a ’62 Fairlane 2-door, but I have a particular thing for American cars of the early sixties. 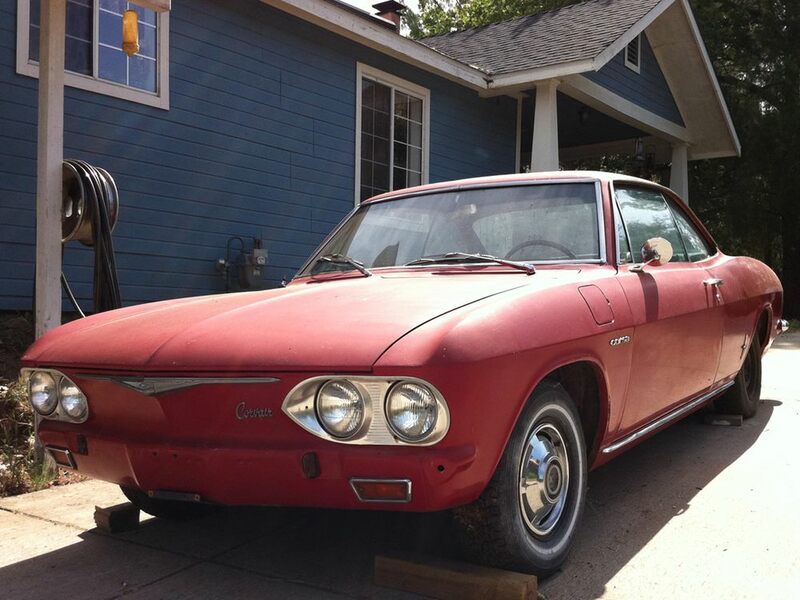 Also, I think the Corvair is one of the more interesting Chevy vehicles. 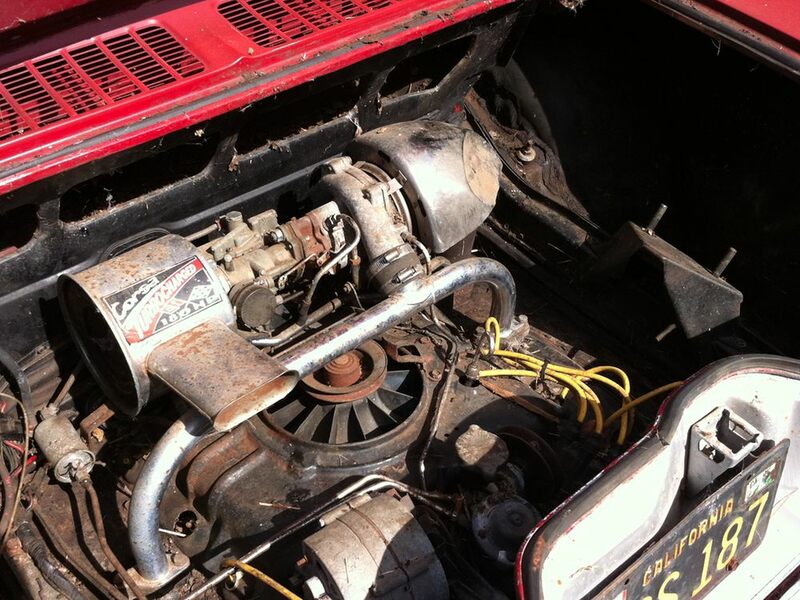 The rear engine, pancake six drivetrain was a substantial departure from American car design of the time, and the car was at the center of a PR nightmare. 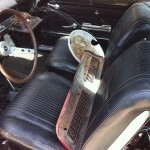 This is a true barn find – the Corvair belonged to a friend of my dad who died recently. It’s been sitting, unregistered and pretty much ignored for something like 20 years. 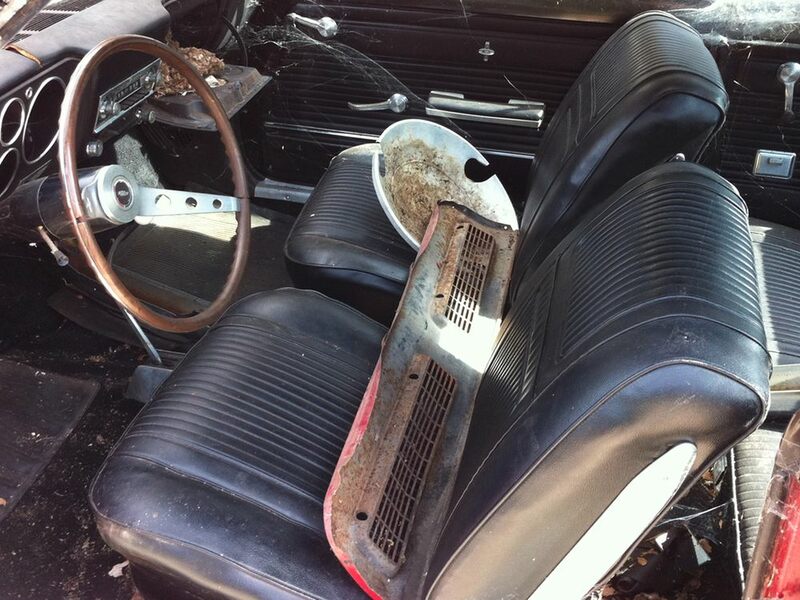 It’s in remarkably good shape – most of the interior is intact, and the body is super clean. 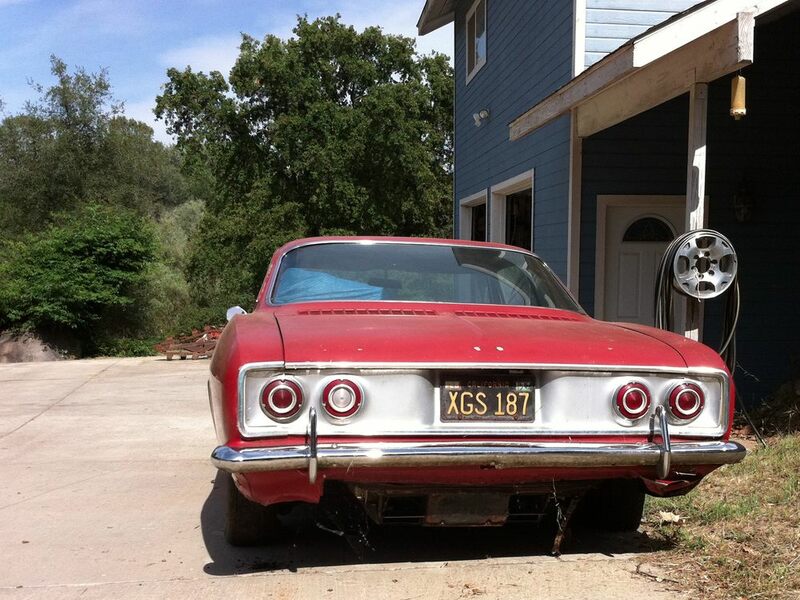 I think it’s missing one of the original hubcaps or something ridiculous – about as complete as you can get. 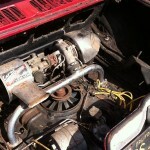 It even has the original “180 HP” turbo stickers! Awesome.